All Sessions are CASH Only & Skate at your own risk. 7pm - 11pm $10 "Old School"
Playing the best Old School Skating Music. Group Rates are available on select sessions. Call for your special rate today!!! **All children 2years & older pay admission skating or not at all times. **Adults 18yrs & older during Day sessions ONLY if not skating no charge; however, at night EVERYONE pays skating or not all ages 2 & up. *Management reserves the right to refuse service/entrance to anyone if deemed necessary by management on duty. *Management may ask any patron to leave premises at anytime if deemed necessary at managements discretion with no explanation deemed necessary. *Also note session ending time is when patrons are to have exited the building by. (The above is so that we may get cleaned up & ready for our next session.) *Also please take warning that theatrical fog & other special effects are in use in our facility. Known Asthmatics or Persons with Seizure Disorders should not enter. We are a full service family owned and operated skating facility serving the area with four generations & over 40 years of experience in the roller skating business. Please check our other pages for more specific information or if you cannot find the information you need, please call us @ 561-964-4300 & also be sure to check out our Facebook Page "Atlantis Skateway"
"Atlantis Skateway" for more great deals. All prices, session times, and party plans are subject to change. Please call 561-964-4300 for the latest information. 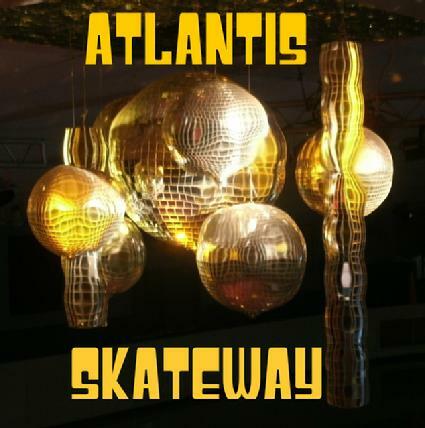 All images are the property of Atlantis Skateway, Greenacres FL. *Also note session ending time is when patrons are to have exited the building by. Management reserves the right to ask any patron to leave the premises at anytime. Management reserves the right to end any session at anytime should they deem it necessary. There are no refunds of any kind. This site may not be transmitted or copied without the express written permission of Atlantis Skateway. Be sure to check out our monthly specials & discount page for great discounts on many different items. with matching ID for security deposit. Limit 2 rentals per credit card. We offer a full Pro Shop for your convenience. Whether you are looking for the latest in quad skates, or inline skates, Atlantis is the place for you! If we don't have it, we'll get it for you fast and at a great price! Forget about the online stuff and order from us today!! !